Do you know French already and want to go a stage further? 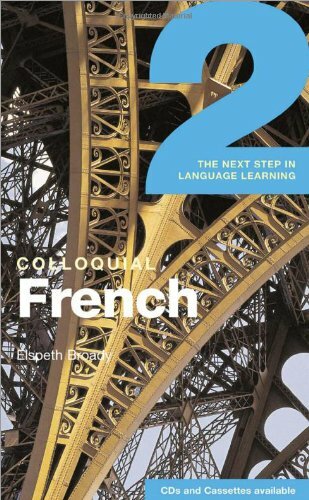 If you're planning a visit to France, need to brush up your French for work, or are simply doing a course, Colloquial French 2 is the ideal way to refresh your knowledge of the language and to extend your skills. Audio material to accompany the course is available to download free in MP3 format from www.routledge.com/cw/colloquials. Recorded by native speakers, the audio material features the dialogues and texts from the book and will help develop your listening and pronunciation skills. Supplementary exercises and French language web-links can also be accessed through this site.